Dropped in while googling eggless banana cake and as ever, got sidetracked. Pretty impressed that someone else digs carb-galore Iyengar bakery. 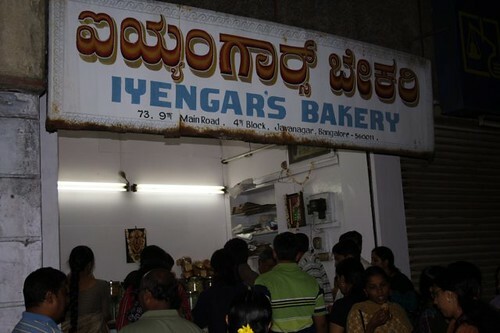 I am from Chennai, but a whole bunch of Bangalore-based relatives are not allowed step into the portals of my abode unless they are armed with yummy rusks from one of the many iyengar bakeries in their home town. I’d bare my head in reverence if I were wearing a hat.